• ZhouZ added a comment to T176518: Requesting access to stat1005 for Slaporte. I can confirm Stephen is taking over this. • ZhouZ added a comment to T175959: Requesting access to Stat1005 for zhousquared. Yes, please revoke the old key - sorry I forgot to tell you earlier. • ZhouZ added a comment to T174675: Create phabricator space for tickets with legal restrictions . • ZhouZ updated subscribers of T174675: Create phabricator space for tickets with legal restrictions . • ZhouZ created T175959: Requesting access to Stat1005 for zhousquared. • ZhouZ updated subscribers of T174388: LoginNotify should inform users of the IP address of failed login attempts to their account. • ZhouZ added a comment to T168565: Does the app need disclaimers. Good point. It would be nice to have it jump immediately to a localized version (especially if this link ends up in the article footer) but not necessary. The Disclaimer page has a pretty obvious language selector in the mobile view so the user can easily change it to another language variant. Having a link to the General Disclaimer somewhere in the app, perhaps in the article footer or in the setting page would be a good idea. • ZhouZ updated subscribers of T168565: Does the app need disclaimers. • ZhouZ moved T146178: As a user I would like to receive a gift when donating to Wikimedia Foundation from Backlog to Assigned on the WMF-Legal board. • ZhouZ moved T148449: Create screenshot-license tag for Commons for the app from Backlog to Assigned on the WMF-Legal board. • ZhouZ moved T146819: Update app footer to use cc 4.0 from Backlog to Assigned on the WMF-Legal board. • ZhouZ moved T89741: Expose ar_content_format and ar_content_model columns of archive table on Labs replicas from Backlog to Legal Done on the WMF-Legal board. • ZhouZ updated subscribers of T151529: Using Gerrit/git requires the email registered via wikitech and ends ups being voluntary disclosed (break of privacy?). • ZhouZ added a project to T173846: Add warning about ssh ip address visibility to Cloud VPS TOU: WMF-Legal. • ZhouZ moved T167900: Policy listserv link on https://policy.wikimedia.org/ doesn't actually sign people up for the mailing list from Backlog to Assigned on the WMF-Legal board. • ZhouZ moved T170927: Make wbqc_constraints table available on Quarry et al. from Backlog to Legal Done on the WMF-Legal board. • ZhouZ moved T170602: License for pageview data from Backlog to Legal Done on the WMF-Legal board. • ZhouZ moved T170365: move legal-tm-vio alias to OIT from Backlog to Legal Done on the WMF-Legal board. • ZhouZ added a comment to T170602: License for pageview data. HI all, if there are no further objections, are we all ready to move forward with the new proposed language? The API specification is available under the Apache 2.0 license. Hi @mobrovac, without going into the legal weeds, often the license that works best for text content (or software) may not be the most appropriate license for data. For example, data for projects in the Wikimedia movement are usually available under a CC0 license (see the Wikidata license and our open access policy) even if text content for projects like Wikipedia is under a CC BY SA 3.0 license (and images on Wikimedia Commons may also have their own specific license). Here's the language we can provide at the specific endpoints on the https://wikimedia.org/api/rest_v1/ page. This is an example for the GET /metrics/pageviews endpoint but we should add similar language in the "Implementation Notes" sub-section for all other endpoints in the Pageviews data, Unique devices data, Legacy metrics, and Pagecounts data (legacy) sections on the https://wikimedia.org/api/rest_v1/ page API documentation page. I will provide some proposed language we can add. • ZhouZ updated subscribers of T171305: The Cookie statement link in the footer redirects to the English version of the Cookie statement, not the translations. • ZhouZ added a comment to T170878: Audit users and account expiry dates for stat boxes. • ZhouZ added a comment to T89741: Expose ar_content_format and ar_content_model columns of archive table on Labs replicas. Speaking for legal, we clear this change as well. • ZhouZ renamed T170602: License for pageview data from Pageview data shoudl be served from restbase with a different license to License for pageview data. • ZhouZ added a comment to T120288: Enable MP3 uploads on Wikimedia Commons and TMH playback. Sorry for the delay - Legal still is reviewing this (the Fedora situation is good news). We hope to have a response by the end of the week. Hi Zhou, is there any update you can share with us? There's also a related question about whether we can have patent encumbered mp3 files in our git repositories (https://gerrit.wikimedia.org/r/#/c/349596/), but if mp3 isn't restricted by patents anymore, I suppose the question is moot. • ZhouZ added a comment to T162395: Add .mp3 to the list of accepted file types on Wikimedia Commons uploads. Hi everyone! Wikimedia Legal has been analyzing this issue and we can provide you with an update once that it is done. Let's start with the basics and add links to our policies on the API help pages. • ZhouZ updated subscribers of T160713: Replicate babel db table on Labs. Elitre awarded T107136: Allow OIT to make new WMF employees members of the #WMF-NDA Phabricator project as part of their onboarding process a Barnstar token. • ZhouZ updated subscribers of T158638: Using wikimedia.ee mail address as Google account. • ZhouZ claimed T157614: Investigate if it is legally okay to have h264 decoder run on production and/or labs, or provide the decoder in JS for a browser to run. • ZhouZ closed T143201: Investigate copyright status of STL format, a subtask of T3790: Allow uploading of 3D files to Wikimedia Commons, as Resolved. • ZhouZ closed T143201: Investigate copyright status of STL format as Resolved. • ZhouZ reopened T143201: Investigate copyright status of STL format as "Open". • ZhouZ reopened T143201: Investigate copyright status of STL format, a subtask of T3790: Allow uploading of 3D files to Wikimedia Commons, as Open. • ZhouZ added a comment to T143201: Investigate copyright status of STL format. After an investigation, I believe legally this is a free file format as required under Commons policy. • ZhouZ added a comment to T150875: Confirm attribution needs. Just as an updated reminder to this task. • ZhouZ added a comment to T152893: "Subscribe" button has wrong text color. Thanks for flagging @Volker_E and helping fix this issue! • ZhouZ added a comment to T152581: Expand the Tool Labs definition of "free license" to include FSF-approved and DFSG-compatible licenses. • ZhouZ added a comment to T145499: Investigate copyright status of PLY format. Hi, we have done some research on this matter and it appears PLY is an open file format. Please contact me about other considerations if you are interested in having commons support this file format. • ZhouZ added a comment to T145502: Investigate copyright status of OBJ format. Hi, we have done some research on this matter and it appears OBJ is an open file format. Please contact me about other considerations if you are interested in having commons support this file format. • ZhouZ added a comment to T107136: Allow OIT to make new WMF employees members of the #WMF-NDA Phabricator project as part of their onboarding process. Sure - let sync up. Thanks @eliza. Can you work with @Aklapper to get the necessary permissions when you are ready to roll this out next Jan? @bbogaert, @eliza, I understand you can help implement task as part of the on-boarding process starting in Jan. 2017. That is receive permissions to add members to WMF-NDA and use this permission to add new employees to the WMF-NDA group on request from their managers in the on-boarding form. • ZhouZ updated subscribers of T107136: Allow OIT to make new WMF employees members of the #WMF-NDA Phabricator project as part of their onboarding process. • ZhouZ awarded T147710: What should an AI do you for you? Building an AI Wishlist. a Like token. • ZhouZ awarded T149666: Next steps for machine translation a Like token. • ZhouZ awarded T147929: Algorithmic dangers and transparency -- Best practices a Like token. • ZhouZ awarded T148690: Where to surface AI in Wikimedia Projects a Like token. • ZhouZ added a comment to T150803: Information leak on wikidata-externalid-url. Sorry can either @jeblad or @ArthurPSmith clarify what is the concern here? • ZhouZ updated subscribers of T150803: Information leak on wikidata-externalid-url. • ZhouZ added a comment to T147372: As a user I want to know the privacy implications of notifications. My understanding is there is only one notification preference (@JMinor can confirm). Also I think people might be more concerned about notifications being based on a personalized profile rather than the preference itself. I'd love OIT to create the Phab account of new hires (which very likely requires being logged in on mw.org with the new hire's account) and after that OIT to add the new hire's Phab account to the WMF-NDA Phabricator project (which would require members of OIT to receive permissions to edit members in WMF-NDA Phabricator project and I'm happy to hand out these permissions). so just to circle back on this task and confirm - if OIT can create phabricator accounts for new hires using their Meta login, would you then be able to confirm NDA access as needed and this issue would be resolved? 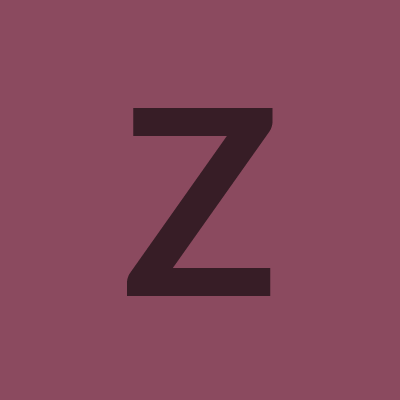 • ZhouZ added a comment to T85966: Define in a clear way what we currently store about users for explaining how recommendation system would work. I am not sure what is this recommendation system. I am only tracking the task at this point. • ZhouZ moved T136419: Provide a way to get efficiently legal feedback for Wikimedia deployments requests from Assigned to Legal Done on the WMF-Legal board. • ZhouZ moved T65782: Make querycache, querycachetwo and querycache_info tables visible on labs dbs from Backlog to Assigned on the WMF-Legal board. • ZhouZ moved T144508: Point wikipedia.in to 205.147.101.160 instead of URL forward from Backlog to Assigned on the WMF-Legal board. • ZhouZ added a comment to T146227: Icinga access for Zhouz and Slaporte. • ZhouZ added a comment to T120788: Tool to use Google OCRs in Indic language Wikisource. • ZhouZ added a comment to T145472: RFC: Central registry for all keys in Cookies / Local Storage on Wikimedia sites. @RobLa-WMF this is done - see https://www.mediawiki.org/wiki/Requests_for_comment/Survey_Cookies/Local_Storage_on_Wikimedia#Proposal. and https://wikimediafoundation.org/wiki/Cookie_statement contain the relevant (and same) cookie tables. This is the type of information we want to keep up to date and will be helped by this project. Thanks @RobLa-WMF for volunteering to shepherd this. • ZhouZ updated subscribers of T145472: RFC: Central registry for all keys in Cookies / Local Storage on Wikimedia sites. • ZhouZ created T145472: RFC: Central registry for all keys in Cookies / Local Storage on Wikimedia sites. • ZhouZ added a comment to T145132: Add localized strings for Photo and Location permission. • ZhouZ created T144624: Requesting access to stat1002 for ZZhou (WMF). • ZhouZ moved T96499: dbtree loads third party resources (from jquery.com and google.com) from Assigned to Legal Done on the WMF-Legal board. • ZhouZ moved T119454: [transparency] Include counts within «Information Produced?» from Assigned to Legal Done on the WMF-Legal board. • ZhouZ moved T119686: Shorten MediaViewer credit lines from Backlog to Legal Done on the WMF-Legal board. • ZhouZ moved T142907: Confidentiality agreement in farsi (fa): add to Legalpad from Backlog to Assigned on the WMF-Legal board. • ZhouZ updated subscribers of T142907: Confidentiality agreement in farsi (fa): add to Legalpad. • ZhouZ moved T141954: Run maintenance script to migrate disabled accounts with DisableAccount to blocked account from Backlog to Assigned on the WMF-Legal board. • ZhouZ moved T143201: Investigate copyright status of STL format from Backlog to Assigned on the WMF-Legal board. Can we actually just place this on-hold for now? Still touching base internally to see if we can get resources - will update. • ZhouZ moved T144182: http://www.wikishia.net/ states that it is "a Wikimedia project" from Backlog to Assigned on the WMF-Legal board. • ZhouZ updated subscribers of T144182: http://www.wikishia.net/ states that it is "a Wikimedia project". • ZhouZ added a project to T107136: Allow OIT to make new WMF employees members of the #WMF-NDA Phabricator project as part of their onboarding process: WMF-NDA. • ZhouZ added a comment to T98722: ZhouZ needs access to WMF-NDA group. I see - I have done more investigation into this process. Will update the other task then and close this one. • ZhouZ updated subscribers of T120454: Dark archive for Commons. • ZhouZ updated subscribers of T143001: Wiki sites should delete all their cookies during logout. • ZhouZ added a comment to T139301: Remove @author lines from code. The GPL requires some sort of copyright notice for the source code. But if we want to, in general it should not be a problem to put the credits in a centralized CREDITS file instead, see T139300 and point to that file from each source file. What about a task / email by their manager? It should be simple to verify the manager's username/email. Ok I see - I was mistaken then. • ZhouZ moved T136744: After Code of Conduct is approved, Etherpad footer should link to it. from Assigned to Legal Done on the WMF-Legal board. @ZhouZ: What type of account is a "@wikimedia.org account"? Also, Phabricator does not expose the email addresses of user accounts. • ZhouZ added a comment to T134190: Request WMF-NDA project access for APalmer_WMF and MPaulson.